Fernanda, German-Chilean, grew up in Germany and studied Sociology in Chile. She has worked as an assistant professor and in the field of international cooperation. Her interest in intercultural relations brought her to ContactChile in 2014. Hidden talent: Illegitimate daughter of Liza Minelli and Frank Sinatra. Fun fact: Has a contagious supersonic laugh. Mane Aguila, born in Chile and raised in the U.S. She studied Tourism Engineering Management. Has broad experience in tourism, language and teaching. Her passion for tourism and intercultural relations brought her to ContactChile in 2015. Fun fact: Has survived a hurricane, earthquake and tornado. Pia is of Canadian Chilean nationality and studied psychology in Vancouver, Canada. She joined our team in 2017. She has ample experience in customer service and has a passion for travelling and intercultural relations. Hidden talent: Getting up very quickly after a fall. Fun fact: Loves eating olive sandwiches. Nadja was born in Germany and studied Translation, Linguistics and Cultural Studies in Germersheim. As she fell in love with Chile during her first trip to South America in 2009, she now decided to come back and start an internship at ContactChile. Languages: German, English, Spanish and a little Arabic. Hidden talent: Loves very spicy food. Fun fact: Plans a second career as a yoga instructor. Felicitas is from Switzerland and studied History and Social Sciences. Being driven by her curiosity, she came back to Chile after her trip in the country 2016 and found by happy coincidence to ContactChile. Languages: Swiss German, Spanish, English. Fun fact: Loves uneven numbers. Marina is from Switzerland and studied International Affairs. An exchange semester at the Colegio Suizo brought her for the first time to Santiago. Her interest in different cultures and countries motivated her to be part of ContactChile's Travel Department. Languages: German, Spanish, English, French and a bit of Portuguese. Fun fact: Never travels without chocolate. Carolina, Chilean-Italian, studied Advertising and Communications in Santiago. She has over 15 years' experience in the marketing area and has worked in different countries such as France, Italy and South Africa. Due to her passion for cultures and experience abroad, she came to join ContactChile in 2012 where she is in charge of our Marketing Department. Languages: Spanish, English, Italian, French. Hidden talent: Expert dark chocolate taster. Fun fact: Was kicked from behind and thrown into a lake by an ostrich. Andrea, born and raised in Chile, studied English / Spanish Translation in Santiago. She has broad experience in the client service area. Her interest in languages and intercultural relations made her choose ContactChile as the perfect place to work. Fun fact: Survived a bump on her head after a swing knocked her down at the park. Bella has roots in England and was born 2016 in Santiago. Since 2017, she is part of the ContactChile team, contributing mainly at the reception. She likes to welcome customers and keeps the surroundings of our office under control, making sure that everything goes well at any time. Hidden talent: Working as a photo model in her freetime. Fun fact: Loves vegetables and organic products. Gaby, born and raised in Chile, studied Accounting and currently finishing her Audit studies at the University of Santiago. Despite her relationship with numbers, she is passionate about languages and people, which has led her to develop always in the field of customer service and sales. She is always looking for something new to learn and a place to travel. Languages: Spanish, English, Portuguese, Mandarin Chinese. Hidden talent: Extreme sportswoman, practice Taekwondo, Archery, Trekking and all the disciplines that cross her path. Fun fact: She loves airplanes and race cars and dreams of being a pilot of both. Nelson, born in Venezuela. Studied psychology and has several years in the field of human resources, sales and consulting. Lived in Ecuador for a while and later moved to Chile in 2017. His curiosity for work in multicultural environments brought him to ContactChile. Hidden talent: Combine arepas and Indian food in the same dish. Fun fact: He likes to bite people he loves. Roxana was born in Santiago and she’s been related to ContactChile for several years. Since 2012 she cooperates with the office operations. Thanks to her dedication and commitment, she won an important place in our international team. Hidden talent: Poisonous spider’s defender. Fun fact: Metallica’s number one fan. Ingrid, born and raised in Chile, has a degree in Accounting. For many years she worked in the customer service area. She joined ContactChile in 2013, and today she is in charge of our Finances Department. Hidden talent: Girl scout and singer. Fun fact: Survivor of drowning and a furious dog. Malte Sieber, raised near Berlin where he studied German and English at Humboldt University, is a journalist and publisher. Living in Chile since 1992, he ran a German language weekly for several years and has edited a variety of tourism-related publications. 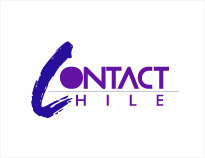 In 2000 he founded ContactChile Gestiones Interculturales and has been its General Manager since then. Fun fact: Survives the bike paths of Santiago. Rossana Vidal was born and raised in Santiago. She comes to us from the world of theater, where she worked as an actress and director/producer. She gained intercultural experience during several theater internships in Germany. She's also a Ontological and Transpersonal Coach. As an associate of ContactChile, she supervises the Housing Department. Hidden talent: Anytime dancer, she even dances TV commercials. Fun fact: Unaccomplished dream, become a jazz singer.